We are the prominent manufacturer and exporter of Special Purpose Machine for Connectors Pressing these machines are manufactured from latest technology. We offer this product at great prices without any compromise on its precision and quality. 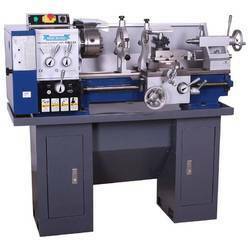 The specialty of the machine is precision XY table & precision RAM assembly that insure accurate damage free pressing of connectors. We ensure bringing forth quality products. Our Special Purpose Pneumatic Press Machine are known for their unbeatable quality and competitive price as well. The product is durable and highly reliable as well to press valve lock & stem seal into cylinder head. 90° Tilting Table for Cylinder Head for easy insertion of Valve Stems into Cylinder Head. 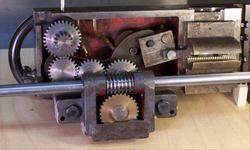 Roller Conveyor for effortless movement of Cylinder Head. Part Location Fixture with Retractable Round & Diamond Pin. 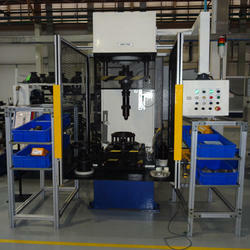 Pneumatic Pressing with equalizer mechanism for identical pressing on all 8 valves of 4 cylinder. We are amongst the most prominent enterprise actively engaged in providing a comprehensive array of Special Purpose Drilling & Tapping Machine. Out of various special purpose machine tools, single spindle drilling and tapping machines & pneumatic tapping machine are extensively used in automotive industry. Our range of radial drilling machines is widely used in the automotive and heavy engineering industry. With the help of competent professionals, we have been able to offer a wide range of Special Purpose Hydraulic Press Machine. The adjoining photograph shows specially designed & developed 5 ton hydraulic press for pressing ,75 mm diameter x 90 mm long sleeve into cast iron body. The component location & clamping is with hydraulically operated swivel type clamps to facilitate top loading of the components. 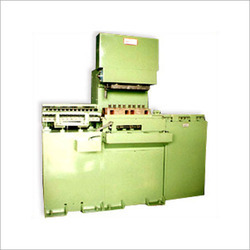 Auto Feed Mechanism are specially designed & developed as per customer requirement. These automation includes linear guide ways, ball screw & nut arrangements driven by either electrical geared motor or servo motor controlled through PLC. These auto feed Mechanism are used for deep hole drilling operation with wood pecking cycle that is essential to avoid chips clogging & drill breakage. 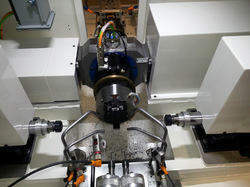 Looking for Special Purpose Machine Tools ?